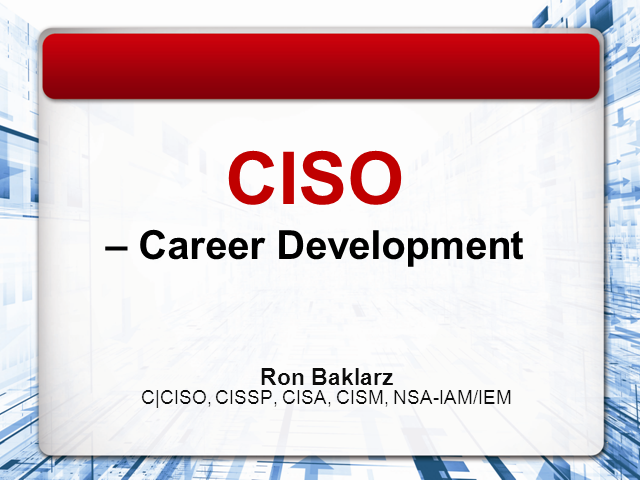 On May 16 we will be kicking off our CISO Career Development Series with AMTRAK’s CISO, Ron Baklarz. Ron will be discussing the salient points of his career path while touching on how the typical CISO career path has changed over the last decade. Specifically, he’ll venture into how the CISO role itself has morphed from purely technical to a more holistically business-minded position. He’ll touch on typical challenges that new CISOs encounter as well as some best practices that have served him well over his long career.